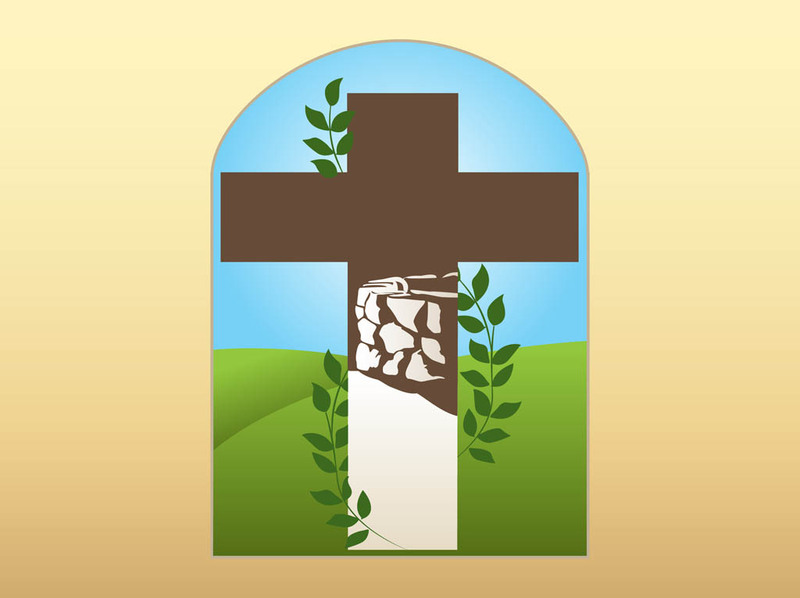 Christianity vector footage of a cross and decorative plants. Crucifix decorated with a well and stones and swirling plant stems. Beautiful landscape behind the cross. Free vector design for religion, religions, Christian, Christianity, Jesus Christ, crucifix, church, faith, prayers and believing designs. Tags: Christianity, Church, Cross, Crucifix, Logo, Nature, Plants.